Material handling equipment are designed with safety factors for excess load conditions and are equipped to provide long service life. Hydraulic material handling equipment are a large flexible structure moved by a control system that takes its input from a human operator and translates this command into the motion of actuators which move the mechanical structure. 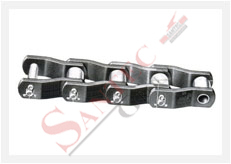 Various hydraulic components used in their construction are designed as per the safety standards.